Servant, apprentice, journeyman, and master: I see them every day. I wish every young adult could see them as clearly. The choice of a career is not merely deciding how long you can tolerate college. (Isn't that a huge part of the decision for most?) The choice is where you see yourself in the workplace. Good morning, Mr. Stevenson. Are you alright if Evan stays in the room with us for this visit? I’m learning this new computer system and he helps me work through all these screens. So it’s been two weeks since the spinal fusion surgery. How has your pain level been? Well, I’ve been following your recommendations about taking it easy…until last weekend. The grandkids were over and I might have overdone it a little. OK, Mr. Stevenson, let’s have you stand up and hold your arms straight out in front of you. I’m going to push down on them and you try to hold them straight. Let’s see how your strength is returning. My very first software build as an Epic trainer was for a neurosurgeon. I was beginning to see the hierarchy of work: servant, apprentice, journeyman, and master. Hey, it’s not like it’s brain surgery. Well, actually it is! Neurosurgeons are masters in the medical world for certain. I was, quite literally, an apprentice, with my lead trainer down the hall. Dr. MacKay’s myriad degrees and certifications proved he’d earned his place at the top. That was a good week. My previous job had gotten difficult and I had interviewed in the training department there as well. Then…two job offers in two days! Col and I talked and prayed about jumping into unknown waters, then took the plunge into healthcare. It was a good move. Career Paths: How High Will We Rise? Servant, apprentice, journeyman, and master: I see them every day. I wish every young adult could see them as clearly. The choice of a career is not merely deciding how long you can tolerate college. (Isn't that a huge part of the decision for most?) The choice is where you see yourself in the workplace. Some of those paths can be accessed from the others. Some require believing in yourself enough to choose the right path at the start. Janitors and neurosurgeons cross paths in the office, but they do not share a career path. 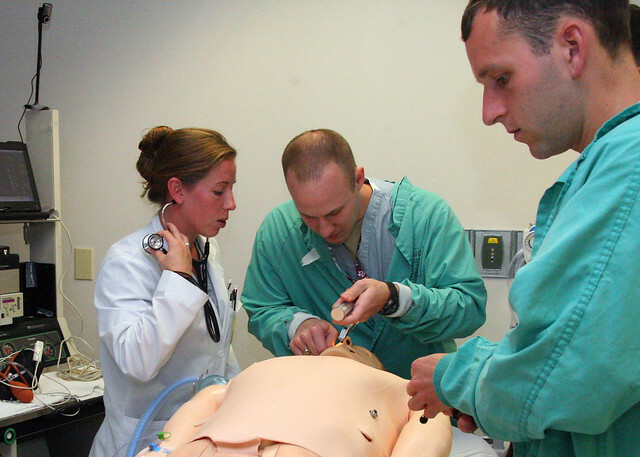 For the record, EMR trainers and neurosurgeons don’t share career paths either. There’s no right and wrong about choosing a career path. They each have their features to recommend them. Cleaning homes or working the drive through doesn’t require years of training. Tough, though, to raise a family on $8/hour. Petroleum engineer or nuclear physicist jobs may require a decade of eating ramen noodles and living in a studio apartment. That said, $150,000/year on the other end might be worth it. I want you to see the career paths. Servant. Apprentice. Journeyman. Master. On which path are your parents? Your relatives? Your friends? Your neighbors? Yes, we can choose to excel in any job. Yes, we can work as unto the Lord and not just for an earthly master. That said, I want you to clearly see the career paths. When you show up at work every day, you will be on one of those paths and the people around you will be on theirs. Some will make more money than others. Some will manage others. Some will receive more respect than others. Some will have more control of their time than others. Some will be content with their path. Others will rise from servant to apprentice, from apprentice to journeyman, from journeyman to master. I always applaud when someone is able to do better for themselves and for their family. Do you see the career paths in the workplaces around you? Are you settled on which path will be yours?